Miguel Ángel Cotto Vázquez is a Puerto Rican professional boxer. As an amateur, Cotto represented Puerto Rico in the lightweight and light welterweight divisions at various international events including the 1999 Pan American Games, the 2000 Summer Olympics and the 1998 Junior World Championships where he won a silver medal. Cotto began his professional career in 2001, and on September 11, 2004, he defeated Kelson Pinto for the WBO junior welterweight championship. He defended the title successfully a total of six times, before vacating it when he ascended to the welterweight division. On his first match on this division he defeated Carlos Quintana for the vacant WBA welterweight championship. Cotto successfully defended this title against Oktay Urkal, Zab Judah, Shane Mosley and Alfonso Gómez, before losing it to Antonio Margarito. On February 21, 2009, he defeated Michael Jennings to win the vacant WBO welterweight championship. Defending the title against Joshua Clottey before losing it to Manny Pacquiao on November 14, 2009. On June 5, 2010, Cotto competed in his first fight at the light middleweight division, defeating Yuri Foreman for the WBA super welterweight championship. Miguel has many tattoos scattered on his body. His most noticeable tattoo is his large tribal that covers nearly his entire right side of his body spanning from his arm to his hip. 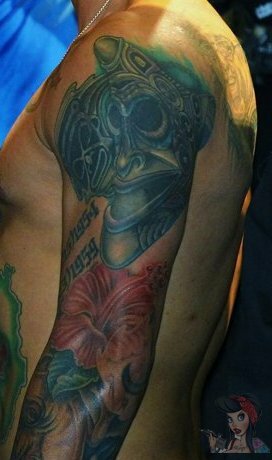 He has a sleeve design on his left arm of a tribal mask and some flowers. There is small text around both wrists. 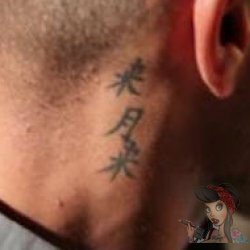 He has three small Asian characters on his neck behind his right ear. On his stomach there is a green and red tattoo but the design in unknown.